A middle-aged literary lion heads to Vietnam to revive his respectability as a writer and husband. 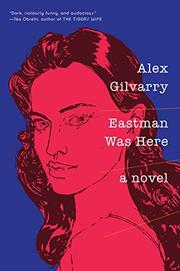 It’s 1973, and Alan Eastman, the hero of Gilvarry’s second novel (From the Memoirs of a Non-Enemy Combatant, 2012), has come to recognize that his reputation is fading. Though he’s remained in the public eye as a reporter, essayist, and pugnacious critic of women’s rights and American foreign policy, his Pulitzer-finalist magnum opus on World War II is two decades behind him. And on the home front, his second wife, Penny, has just left him, prompting him to engage in unseemly stalker-ish behavior. Desperate for some emotional breathing room and a peg for a new book, he takes an offer to head to Vietnam and report on the United States’ incipient extraction from the war there. But his enthusiasm for combat reporting is behind him; he’s more comfortable staying in his Saigon hotel, where he mansplains journalism to a female colleague who’s more industrious than he is and attempts to rekindle a relationship with an old flame. Gilvarry is plainly unsympathetic to Alan’s self-inflicted plights; his preening recalls Norman Mailer during his most macho know-it-all moments. (A rival’s wife gives Alan what-for when he dismisses women writers: “To you they are all girls, aren’t they? Waiting for a man like yourself, a pig of a man.”) But because Gilvarry is inclined neither to lionize nor openly satirize his protagonist, the novel has a flat affect, delivering a straightforward brand of realism that puts Alan’s misogyny and sense of entitlement in the context of their time but does less to dive deep into their psychological roots or their consequences. There are signs of comeuppance in the closing pages, but of a wan sort, and Alan is a hard man to root for throughout, even in a hate-read sort of way. A persuasive glimpse of the world of early-1970s publishing and journalism, but it lacks much of a message to deliver about it.